I don’t think I would be entirely wrong in saying that Telltale’s The Wolf Among Us is better than The Walking Dead in a number of ways. I’ve been playing both, and while the storytelling is excellent across the board, there’s something about the Fables universe that makes each episode a bit more inviting, never mind entertaining. It could just be Snow White, who knows. 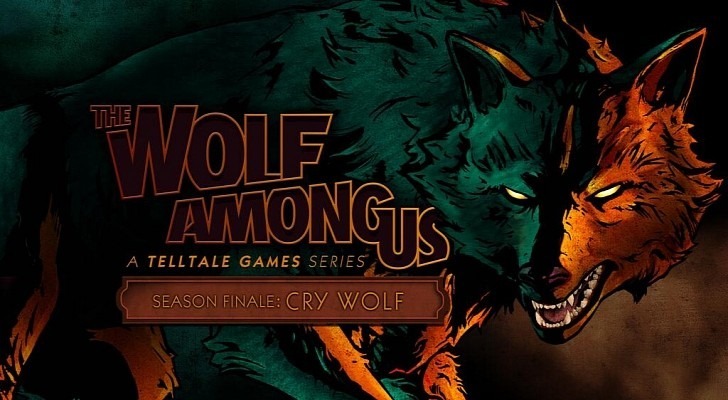 So while everyone waits for the next instalment of how to depress yourself in two hours The Walking Dead, Telltale have gone and teased the final episode for The Wolf Among Us, which now has the title Cry Wolf. Did you expect anything else with the main character being the Big Bad Wolf? Telltale released the image above on Twitter yesterday, meaning that the finale for the first season (and hopefully not the last) should be around the corner. No release date was given, but as usual when Telltale do decide to let us know when it’s coming, it’s often only a few days away. Expect many more screenshot teases and rumoured release dates until then. Why don’t I kick it off? I’m guessing that Cry Wolf will release sometime in…July. It would be rather funny if the season finale releases before the next episode of The Walking Dead, considering it has been ages since the release of episode three. Either way, I can’t wait to see what Telltale has in store for Bigby in his final episode. Who else is just as excited?